BRANDON, Man. 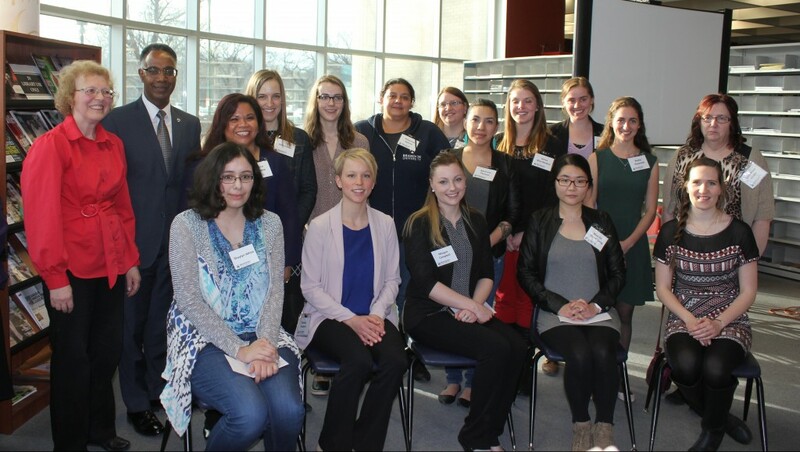 – In recognition of International Women’s Day, Brandon University (BU) is spending the week saluting some of its outstanding female students. Members of BU’s faculty and staff were asked to nominate students who have excelled in their studies and provided meaningful contributions to the community. Based on the nominations, 16 female students are being profiled at brandonu.ca/womens-week/. “Women across the world are being honoured this week for their contributions to the lives of others – male and female – by taking down barriers and opening opportunities,” said Kathleen Nichol, a member of BU’s Status of Women Review Committee and an instructor in the Faculty of Science. The students received certificates of commendation at a reception.